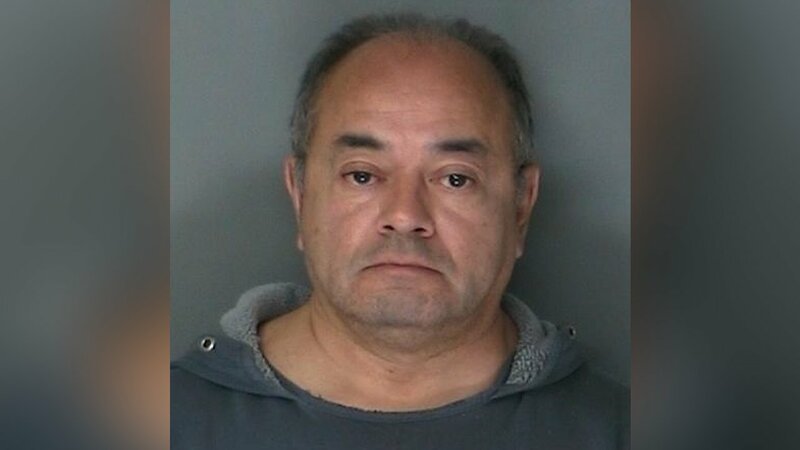 RIVERHEAD, Long Island -- A foster father who took in more than 100 troubled boys over 20 years is set to go on trial on charges he sexually abused eight of the children. In addition to the alleged abuse of the boys, prosecutors also said the man sexually abused a dog in front of a child. The case against Cesar Gonzales-Mugaburu sparked an investigation into New York's foster care system that found "abysmal" communication among the child welfare agencies involved. The suspect's lawyer disputes that any abuse took place at his client's suburban Long Island home. Opening arguments are scheduled to begin Wednesday. Gonzales-Mugaburu, 60, of Ridge, New York, was arrested in January 2016, after authorities said two boys in his care reported alleged abuse to a caseworker. Prosecutors said that prompted a wider investigation, which led to additional charges involving other alleged victims. Gonzales-Mugaburu has pleaded not guilty to child endangerment, sexual misconduct and other charges, and remains jailed on $1 million bond. Prosecutors said Gonzales-Mugaburu earned more than $1.5 million over two decades as a foster parent, caring for particularly troubled boys, which entitled him to a higher income than a traditional foster parent. He cared for as many as six to eight children at a time since at least 1996. An 83-page report released by Suffolk County District Attorney Thomas Spota last month outlined a remarkable series of failures that allowed Gonzales-Mugaburu to take in more than 100 children over 20 years, despite being the subject of 18 separate child abuse investigations. None of those investigations led to criminal charges. The report said rules intended to protect the reputations of falsely accused foster parents were partly to blame. Substandard abuse investigations were another issue. But the biggest problem, the report said, was the simple failure of four governmental and one nonprofit child welfare agencies to share information. Gonzales-Mugaburu's attorney, Donald Mates, said he disagreed with the findings in the report. There never was any reason for the agencies to fail to uncover abuse, because, he said, it never happened. Mates also said that at least some of the alleged victims have a financial reason to see Gonzales-Mugaburu convicted because they have filed lawsuits against an agency that placed them in his home. A spokeswoman for SCO Family of Services, one of the state's largest foster home providers which placed dozens of children with Gonzales-Mugaburu, has said it never uncovered any evidence of abuse prior to his arrest. SCO said since the scandal erupted, it has worked with the state, the Administration for Children's Services and Suffolk County "to diligently address each and every concern about the quality of care provided in this home."